The Romanian avant-première of “Untamed Romania” (România neîmblânzită) has taken place at the Bucharest National Theatre on the 21st of March 2018 in an impressive gala attended by the President of Romania, H.E. Mr. Klaus Iohannis. “Untamed Romania” explores Romania’s incredible landscapes and rich wildlife, from the Danube Delta to the Carpathian forests. 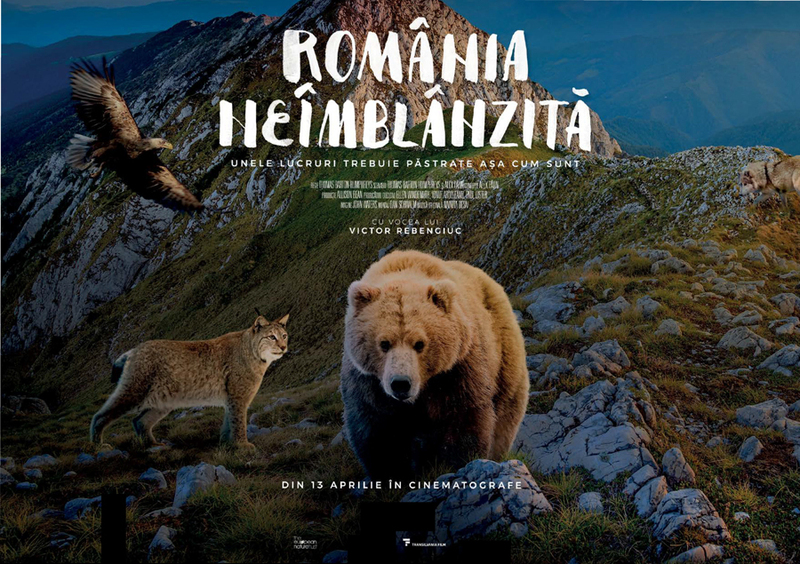 A feature-length top notch film, unique from all angles, celebrates Romania’s astounding natural beauty and sheer diversity of wild animals. Vast mountains, ancient forests and expansive wetlands provide undisturbed habitats to many of the continent’s iconic creatures. The film has been commissioned in 2016 to Off the Fence (an award-winning producer of factual television and digital cinema content, whose productions are broadcasted worldwide) by PNSA’s long-standing client Auchan Group, as a gift to all Romanians in the whole country’s centenary year celebration. The production of the film was also supported by TENT – The European Nature Trust. The international premiere has been held in Washington on the 18th of March 2018, to be followed by its presentation at BAFTA in London on the 9th of May. With a team headed by Bogdan C. Stoica, PNSA is proud for being the exclusive legal advisor for the project from its inception to date. PNSA team also included Irina Ivanciu (Managing Associate), Mihaela Pohaci (Tax Partner), Raluca Rusu (Tax Manager), Cristina Marcu (Senior Associate) and Dragos Iamandoiu (Associate). An extraordinary project, unique in Romania until now, a real homage to the amazing Romanian nature, still so unknown by reference to its startling richness! Congratulations to Auchan for having the initiative and courage to undertake the project and to offer the world such a present! said Bogdan C. Stoica.